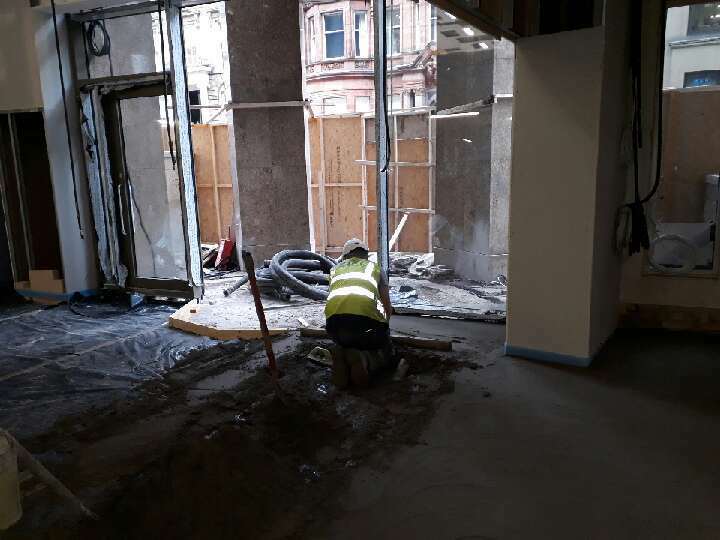 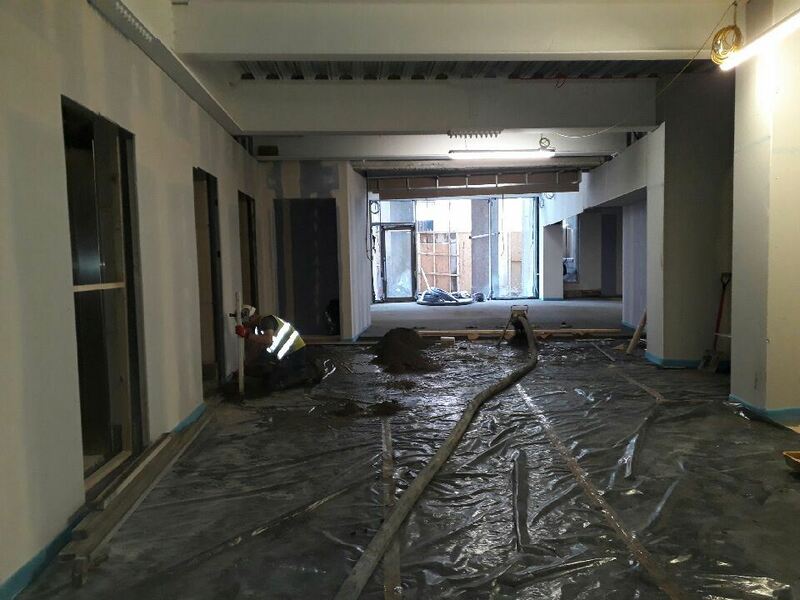 Work is underway on the £5.5million refurbishment programme of NFU Mutual Insurance Society Ltd’s office on West George Street in Glasgow. 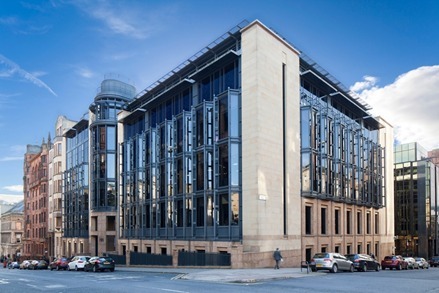 IFT are working with building contractor Morris & Spottiswood on the major programme of works to transform the landmark office development in Glasgow city centre. The project will include the formation of a stunning new double height spacious entrance foyer with a newly re-positioned screen and circular revolving automatic door. A feature concrete panel wall will also be installed in the entrance as well as new showcase lighting and glass wing speed lanes. On completion, 191 West George Street will deliver 87,000 sq ft of Grade A office space over six levels, with large virtually column-free floorplates ranging from 10,601 – 15,031 sq ft.
IFT carried out 1000sqm of screeding using Isocrete Fast-K screed, a semi-dry cementitious screed incorporating proprietary accelerating, water reducing and shrinkage compensation additives to give a high early strength, rapid drying screed. 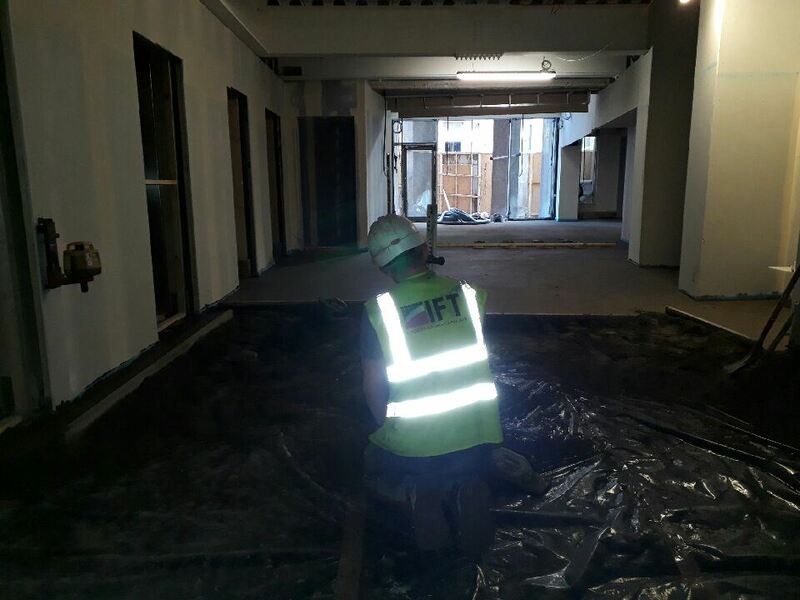 IFT also installed Flowcoat SF41 resin coatings.